Ellen Marie Hinson passed away peacefully in Napa on Sunday, November 18, 2018 at the age of 71. Ellen was born on August 21, 1947 in Austria to John J. Rimmer and Joan C. Rimmer. 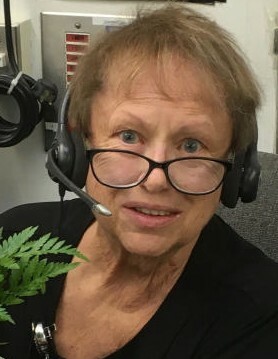 After graduating high school, Ellen became a lead PBX Operator for 21 years at Queen of the Valley. Ellen had three beautiful daughters: Jennifer, Stefanie, and Ashley. Ellen loved to spend her time shopping and being with her family. She also loved pigs and anything Disney. Ellen is survived by her three daughters Jennifer Hinson, Stefanie Hinson and Ashley Zampa (Joey Zampa); and grandchildren Jake Hinson, Logan Zampa and Dylan Zampa. Ellen is preceded in death by her parents; father, John J. Rimmer and mother, Joan C. Rimmer.